BALOCHISTAN was again brought into sharp focus late last week as the attack on the Chinese consulate in Karachi was claimed by the banned Baloch Liberation Army or BLA. The attack in which the three gunmen armed with AK-47s, hand grenades and C4 explosives, two policemen and two civilian visa applicants were killed came a couple of days after the 11th death anniversary of BLA founder Balaach Marri. After last August’s suicide attack on a bus carrying Chinese workers near Dalbandin in Balochistan, which fortunately saw no fatalities, the Karachi attack was the second occasion on which the BLA equipped its members to carry out suicide attacks. Where the state’s response needed to be multipronged, it has tragically been unidimensional with a strong reliance on force. The security forces and guards employed by the Chinese consulate followed their drill effectively and stopped the attackers before they could enter the building, possibly to take hostages or exact a greater civilian toll. When the BLA claimed responsibility on social media for the attack, even as it was happening, public complaints led to its Twitter account being shut down. But an Indian journalist belonging to Republic TV, which is owned by a BJP member of the upper house, was among the first to tweet a video released by the BLA. The video shows the three attackers in training and then asking China not to support Pakistan in “exploiting the resources of the Baloch people”. The tweeting of this short video also led to a Twitter clash between the Indian journalist and the deputy head of the Chinese mission in Islamabad. The diplomat objected to the journalist tweeting a video glorifying terrorists, while the BJP-leaning and Indian security services-supporting Republic TV journalist chided the diplomat for not being accustomed to media freedoms coming as he did from China. That the attack was yet another attempt, no matter how feeble and poorly executed, at undermining the China-Pakistan Economic Corridor was clear from the attackers’ own words and deeds. The alacrity with which the video was tweeted by the Indian journalist belonging to Republic TV told its own story. Since a lot of politics is conducted on social media these days, and even policy statements are made on this forum, Prime Minister Imran Khan also tweeted his condemnation of the attack and linked it to the success of his recent visit to China. “The failed attack against the Chinese consulate was clearly a reaction to the unprecedented trade agreements that resulted from our trip to China. The attack was intended to scare Chinese investors and undermine CPEC. These terrorists will not succeed,” the prime minister said. The details of the trade agreements that the prime minister described as unprecedented are awaited by the people of Pakistan and the media, particularly any aimed at securing Chinese help in shoring up foreign exchange reserves. Whatever else the attackers failed to achieve, they did succeed in once again turning the spotlight on Balochistan that has remained on the boil ever since the killing of dissident leader Nawab Akbar Bugti in 2006 in a military assault on his mountain hideout near Dera Bugti. There can be no doubt that hostile foreign powers would have licked their chops and dived in at being presented with such an opportunity to undermine Pakistan by the Musharraf regime. There is little acknowledgment here that this Achilles heel was self-created, this wound self-inflicted. And where the state’s response needed to be multipronged, it has tragically been unidimensional with a disproportionate reliance on the use of force, and any political initiatives more or less conspicuous by their absence. Off and on since 2008, one has heard about this initiative or that, mostly by politicians to try and convince their ‘roothay huye bhai’ (their estranged brothers) to return to the country and join the mainstream. But, of course, each time nothing has got off the ground. While in opposition, Imran Khan spoke passionately about the need to end enforced disappearances and return the so-called missing people to their families or at least inform them of the detainees’ well-being. But since coming to power he has largely been silent on the issue. The one cabinet member who has been lauded widely by even her staunchest critics and raised the issue with what seemed like genuine concern and passion is Human Rights Minister Dr Shireen Mazari. However, a concrete manifestation of her words is still awaited. 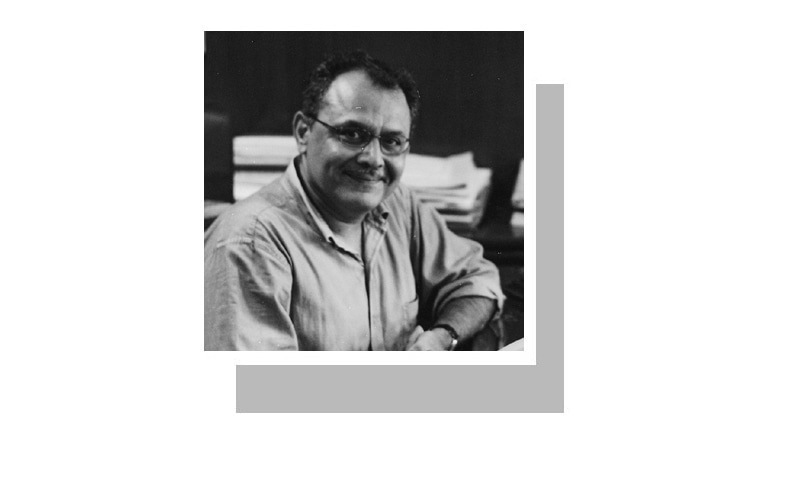 In the last Senate elections, and after that the general elections, many pro-establishment politicians were ushered into parliament from Balochistan, including the politician who now occupies one of the highest offices in the country — that of the Senate chairman. One would have hoped that they would serve as a conduit for some of the legitimate concerns and angst of the people so that peaceful, institutional means start appearing like a viable option to the desperate among the Baloch to air their grievances but, alas, so far one has seen no such attempt being made. In fact, after weeks of a sit-in in freezing Quetta, where the family members of the ‘missing’ wanted to meet Chief Minister Jam Kamal Khan to present their case, all the chief executive did was to send his secretary to inquire what they wanted. It was left to BNP-M leader Sardar Akhtar Jan Mengal to visit them on return from a visit abroad, where he accompanied his father Sardar Ataullah Mengal for medical treatment, and make a promise to raise the issue in parliament. However, this too was little cause for optimism. It seems for now the government is on the military’s page on how to deal with the issue. No concessions will be made, even if such moves may help blunt the hostile powers’ machinations in the process. It is just an iron hand and no love for now. And I conclude this with some sadness, even despair. Might is right, the name of the game everywhere. Baloch issue should be resolved as per UN human rights Law. No love for the Baluch. And you know who is the culprit here it is the Sardars. With low level of education and no skill to earn a decent living they have perpetuated their rule by black mailing the Federation. Pakistan ran the modern version of the Sibbi Darbar where the Viceroy came with his annual bribes for the Sardars to keep the peace. This cannot go on. This feudal exploitation of the people must be achieved first no matter who gets offended. There is no other alternative. The Chinese did it . Why cannot we do the same. You have drawn attention of readers to a long over due issues in need of settlement. Dr, M Ihsan Qadir' recent book is also high lighting some of the issues there. But you are right a multi-pronged response is needed.